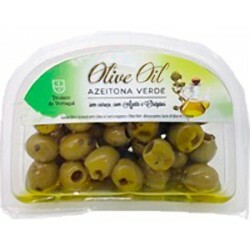 Pitted green olives seasoned with olive oil and oregano. Seasoned olives in tray container. 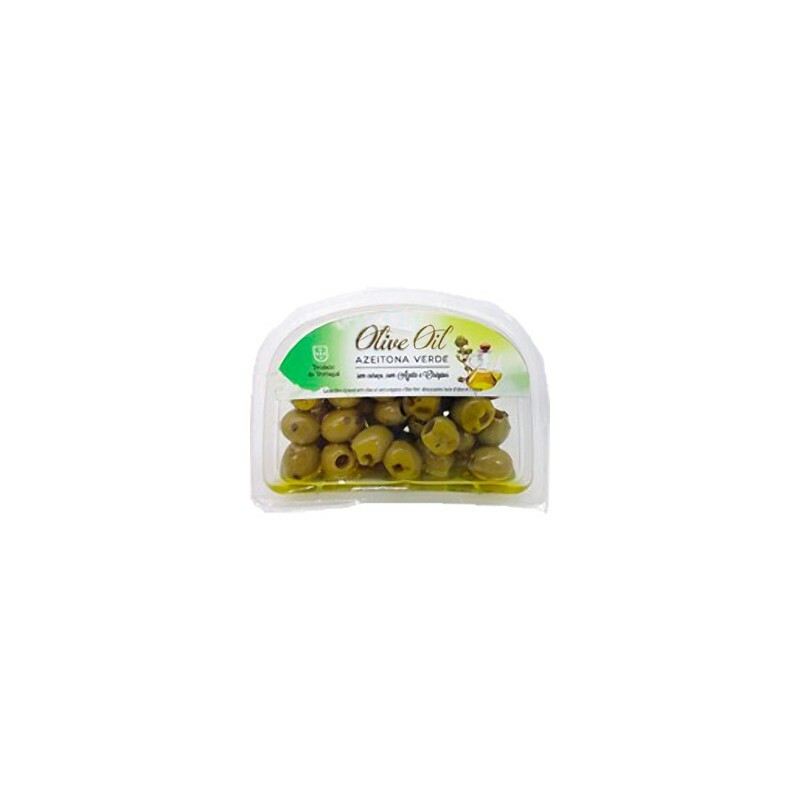 The olives are always an easy snack ready to use to enjoy at home. The marshy land of Ribatejo - Portugal, with its rich color and intense aromas, was the inspiration for the creation of the brand in 1959.